Swami Vivekananda declares that education is the panacea for all our evils. According to him ‘man-making’ or ‘character-building’ education alone is real education. Keeping this end in view, the centers of the Ramakrishna Math and the Ramakrishna Mission have been running a number of institutions solely or partly devoted to education. The Ramakrishna Math of Bangalore (known earlier as Sri Ramakrishna Ashrama) started the ‘Sri Ramakrishna Vidyarthi Mandiram’ in 1943, as a hostel for college boys wherein the inculcating of moral and spiritual values in the minds of the inmates was given the primary importance. The hostel became popular very soon and the former inmates who are now occupying important places in public life, still remember their life at the hostel. In 1958, the Vidyarthi Mandiram was shifted to its own newly built, spacious and well-designed, premises. In 1983, the Silver Jubilee celebrations were held in commemoration of this event. 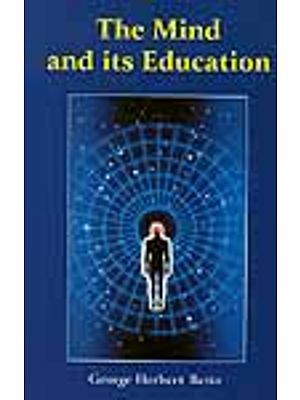 During that period a Souvenir entitled “Education: New Dimensions” was brought out. Very soon, the copies were exhausted. However, the demand for the same, since it contained many original and thought-provoking articles, went on increasing. We are now bringing it out as a book with some modifications. Except the one article of Albert Einstein which has been taken from an old journal, all the others are by eminent monks of the Ramakrishna Order who have contributed to the field of education, in some way or the other. We earnestly hope that all those interested in the education of our younger generation, especially those in the teaching profession, will welcome this publication and give wide publicity to the ideas contained in it.